Allegro MicroSystems has launched its latest Hall effect current sensor IC, which produces its highest speed and accuracy in >400A sensing applications to date. Suitable for hybrid and electric vehicle inverter applications that require high accuracy sensing to 1000A or more, the ACS70310 provides a robust solution with diagnostic functions that can improve functional safety and reliability. 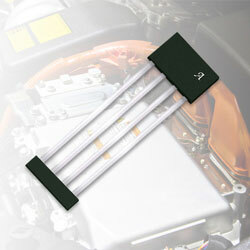 The linear current sensor IC achieves +/-1.2% sensitivity and +/-5mV of offset error over the automotive temperature range of –40C to 150C. By offering both short circuit and over-current detection, the device produces an analog output voltage proportional to the applied magnetic field. With improved safety, the output of the device has a response time of 2uS and a typical operating bandwidth of 240kHz.